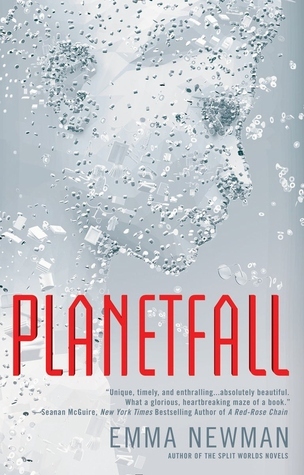 Planetfall is a brilliant portrait of a character and a community both in crises and a meditation on the ways in which the community and the individual are intertwined. It’s a gorgeously realized sci-fi mystery about a secret that festers in the heart of a seeming utopia and threatens to destroy it all. 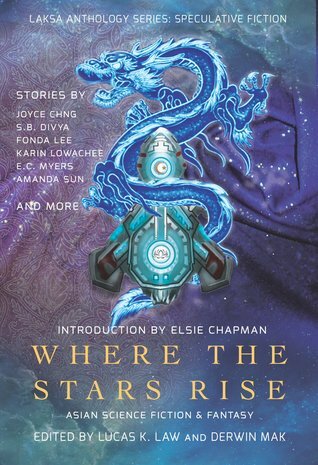 Renata Ghali followed her dearest friend, Lee Suh-Mi, across the stars to a new planet in search of God, but what they found when they arrived on their new planet was, well, inconclusive. When Suh-Mi disappears, Renata and the rest of their colony have to figure out how to go on without her. Over twenty years later, Suh-Mi’s grandson shows up and starts uncovering the truth that Renata has helped to hide all this time. Much of the praise I’ve seen for Planetfall has been for its narrator, and I can’t help but concur. Ren is a fascinating character with an unconventional point of view that makes hers a unique perspective to read a story from. She’s an older woman (a youthful seventy or so, in fact), a woman of color, queer, and significantly mentally ill, though the revelation of that last fact sort of creeps up on you as you read her story. The first person present tense narrative provides a nice sense of immediacy and immersion, which becomes increasingly important as the story moves along and Renata’s mental state deteriorates. Over the course of the novel, Ren becomes increasingly anxious and paranoid, then frantic as secrets start to be uncovered. It’s not always an easy thing to read, but it is absolutely riveting. I only wish that there had been more actual science in Planetfall, although I think that’s more a sign that I’ve been in a mood for harder sci-fi recently than it is a sign that Emma Newman fails the reader in any particular way. Indeed, there are all kinds of interesting ideas on display here, from printing technology to sustainable living and social engineering. 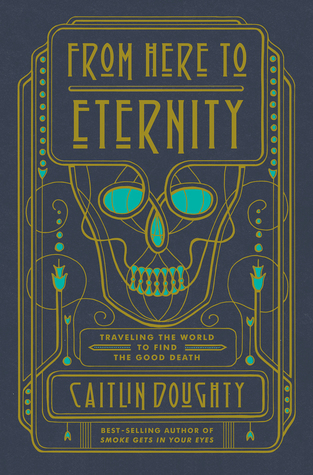 This book straddles the worlds of harder sci-fi and more human-focused sci-fi and does both justice, but I would have loved more explanation of how things worked, especially the space travel portion of the colony’s journey, which I felt was very glossed over. Realistically, it doesn’t matter and isn’t really pertinent to the story being told, which is likely why there’s not more detail about the ship and the journey, but I kind of love that stuff. Finally, I would also have liked to see some of the themes surrounding religion and spirituality in an age of scientific and technological wonders be a little more fully developed. There are all kinds of ideas touched upon regarding the existence of God, the possible ultimate fruitlessness of humanity’s search for God, and even the ways in which faith makes people vulnerable—both to their own bad ideas and to exploitation in service of other people’s bad ideas. Ren is a great protagonist for asking questions and making observations about these things, as she’s a skeptic herself and her disconnectedness from her community makes her often a shrewd observer of people. However, her observations are thoroughly colored by her significant mental illness, making them increasingly unreliable over the course of the book even as more of Ren’s and the colony’s history is revealed, and the rather abrupt ending of the story is somewhat unsatisfying. All in all, though, Planetfall is a great book. It’s got a lovely, almost meditative pace to it, and it’s an incredible character study of its narrator. As someone who also suffers from depression and anxiety, with a tendency towards reclusiveness, I found Ren incredibly relatable, and I can definitely see this being a book that I will return to in the future. 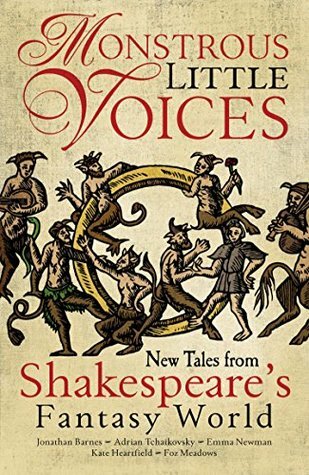 Monstrous Little Voices is a collection of five short novellas that take place within a fantasy world based upon the works of William Shakespeare, and it’s about 80% brilliant, which is pretty good for an anthology. There’s something of an overarching storyline connecting the stories, in addition to common themes and motifs, and this is nicely executed without making the stories feel totally linear or requiring them to be read in order. At the same time, each one also stands alone quite well. Foz Meadows kicks things off with “Coral Bones,” a deliberate and thoughtful meditation on the ways in which we learn and perform gender roles. Through the examination of the character of Miranda and Miranda’s life after her marriage and “rescue,” Meadows explores questions about where gender comes from, how it’s imposed upon people, and what are some of the consequences—both personal and social—for failing to adequately conform to strict gender roles. She imagines essentially three worlds: the island where Miranda grew up unconstrained by social expectations, though being also groomed by her father, Prospero, to perform femininity; the world of the court of Naples, where Miranda lives after her marriage to Ferdinand, in which her performance of femininity is no longer optional and the qualities that made her different and attractive to Ferdinand on the island are now unnecessary and unwanted; and the fairy world, into which Miranda flees to escape her unhappy marriage after suffering a miscarriage, and in which gender is fluid and sexuality is flexible. It’s a clever story, and Meadows makes superb use of the Shakespearean elements in order to both pay tribute to and interrogate the Bard’s work. 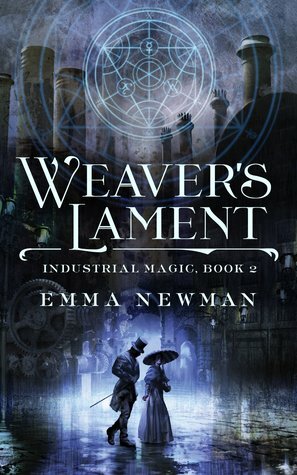 Emma Newman’s “The Unkindest Cut” may be my favorite story in the collection, and it’s definitely the one about which I most wonder what happens next. Lucia de Medici is a girl with a destiny—to enter into a marriage that will end a war before it even begins—and she’ll do anything to ensure that it comes to pass. It’s an enormous amount of character development and growth squeezed into a relatively short number of pages, and it’s fascinating to watch Lucia change over the course of the story’s events. 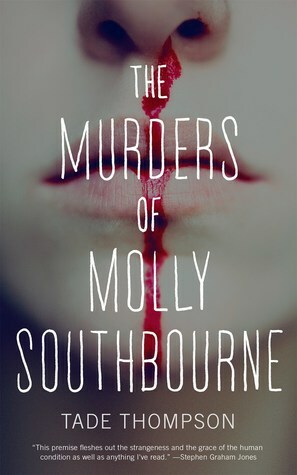 This girl who begins as somewhat shallow and seemingly marriage-obsessed turns out to be clever, resourceful, and downright ruthless in pursuit of her goals. The ending of the story is somewhat heavily telegraphed, and the ultimate solution to Lucia’s central problem is obvious before it’s even revealed, but it’s so great and the punchline of the story is delivered with such panache that I can barely even think of this as a drawback. Adrian Tchaikovsky contributes “Even in the Cannon’s Mouth,” which is the story in the collection that is most like an actual play, with at rise descriptions and stage directions being used to provide a theatrical tone and break up the story into distinct scenes. It’s a tactic that I think is used to mixed success here, and I honestly found myself just being overwhelmed by the number of characters and disoriented by the swift and often sudden changes in the narrative. It’s a wild ride, for sure, and there are some interesting interpretations of Shakespeare’s characters—especially Helena—but the actual events of the story are sometimes difficult to follow. I was very glad to be taking notes, but not everyone likes to treat their leisure-reading like homework. Fortunately, everything comes more or less into focus by the end of the story so that there is a mostly satisfying ending, but “Even in the Cannon’s Mouth” is noticeably less substantive than all three of the previous stories. It’s not a bad tale, but it has far less to say than any of the others. The final story in Monstrous Little Voices is “On the Twelfth Night” by Jonathan Barnes, and it comes somewhat out of left field. 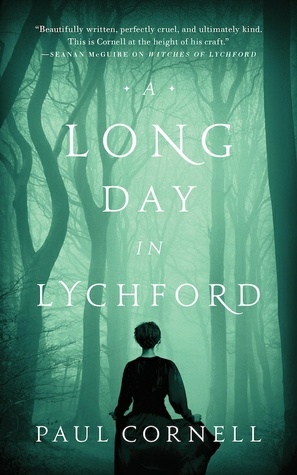 It starts off promisingly, albeit very differently than any of the rest of the stories in the collection, being told in second person from the point of view of Shakespeare’s wife, Anne. 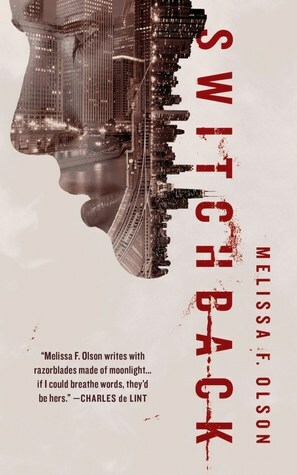 Then, though, things get weird, and the story barrels towards an ending that I found profoundly disappointing, mostly because it was so completely disconnected from the rest of the collection in tone and subject matter. I might have liked “On the Twelfth Night” in a different context, but here it just feels out of place and so completely unpredicated by the rest of the stories that it’s both baffling and irritating. It’s the highest concept of the book’s tales, but in this case that only means that it has the biggest opportunity to fail with its audience. All in all, though, Monstrous Little Voices is something special, and this is a great year for reading Shakespeare, being the four hundredth anniversary of his death. With the introduction and afterword, I’d say that it’s definitely worth it to buy the full book, but each story is also being sold separately as an ebook if you prefer to read them that way. At the very least, the first three stories are essential reading, but the whole thing together is worth checking out.